One of my main goals as a leader is to have success. Success comes in many forms. Seeing a big project get completed, helping an employee improve and overcome a weakness, hitting a budget target, meeting customer needs and keeping them satisfied, and implementing a new procedure within the given parameters are all forms of success. There are many other forms of success that you will see in your career. One important aspect of success is that success is in the eye of the beholder. What one person sees as success may be failure to someone else. Success is dependent on your expectations. 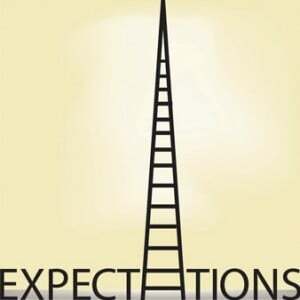 If you reach your expectations, you will feel successful whereas if you don’t meet them, you will probably not feel successful. In order to be successful, you need to set correct expectations. You need to set your expectations based on your own desires and abilities. It is very easy to get caught up thinking that you should set your goals based off of someone’s past performance, when in reality you should set your goals based on your past performance. I have seen many cases where one person is successful in a specific way so the next person has to have the same success in the same way for them to be as successful. There are some times when you have to live up to the expectations set by others. There are times where a CEO will take over after the previous CEO. The new CEO may have specific expectations set based on “cleaning up the mistakes of those of the previous CEO” or based on their past history, but they should still set their own expectations. In every aspect of my life I have set specific expectations for myself. I have specific goals that I have set to reach throughout my life. For many years, I had the goal of earning a master’s degree in business administration (MBA). Along with that goal, I set the goal of getting straight A’s. If I had less than straight A’s, I would not have met my expectations and would’ve felt like a failure. To reach my expectations, I had to change my behavior and how I lived my life. This goal required me to dedicate my life to school and do all I could to perform well. I couldn’t take my education lightly if I wanted to get straight A’s. When I set this goal, I knew I would have to work hard when I was tired and didn’t feel like working. One big challenge that while I was going to school, I was also working full-time. I knew that I would continue to work during the entire program so I had to plan accordingly. To reach my expectations, I knew I had to give up time with my family and friends. I felt that this goal was worth my time and effort. With that in mind, I began to work hard. One semester after another, I continued to make sacrifices. I worked really hard and spent long nights at school to get good grades. There were a only two times during the MBA program that I didn’t quite reach my goal. I was pretty disappointed those times that I didn’t get an A, but I felt a greater resolve to do better. Overall, I felt like I was very successful in college. I felt that my success would help me to be more successful in the future. In life, you will not reach all your goals. If you are meeting all your goals, you are probably not setting high enough goals. In order to be successful, you need to set big goals. If you are setting hard to reach goals, you are probably going to fail to meet them some of the time. You need to do all you can to reach your goals, but understand that it is not always possible to reach every goal. Are you reaching your expectations and being successful? What is your definition of success? Please share your thoughts in the comments section below!